Increase traction in your 2005-14 Mustang with a set of MM rear lower control arm relocation brackets! If you've lowered your 2005-14 Mustang, then you've altered the factory suspension geometry. 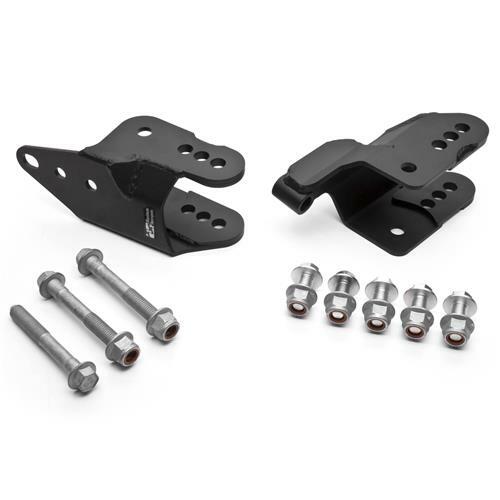 Maximum Motorsports has designed these Mustang rear lower control arm relocation brackets to not only adjust the suspension geometry, but also allow you to adjust for the type of driving you will be doing. These S197 relocation brackets install in multiple locations so that you can set them up for drag racing, road course racing or a mixture of both! These heavy duty steel relocation brackets are really beefy and will be sure to handle anything you throw it them! They are a no weld installation and are easily bolted on so it makes adjusting your rear suspension as easy as can be. 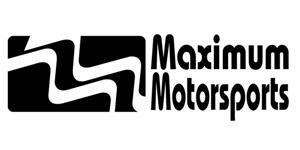 Maximum Motorsports is a top name you can trust for all of your S197 suspension needs! MM's Engineering Team load tested these brackets, as well as brackets from other manufacturers. The claimed superiority of weld-on brackets over bolted-on brackets was quickly disproved by testing. It is the design of the bracket that ensures strength, not the method of attachment. All other relocation brackets started deflecting at much lower load levels (power levels) than the MM-designed relocation bracket. Load testing is just one of the ways they confirmed that their design was not only stronger than others, but is also up to the challenge presented by a high-powered Mustang. -Will NOT fit Eibach adjustable rear swaybar. -Will NOT fit Mustang with swaybar relocation kits that allow 15" wheel fitment.